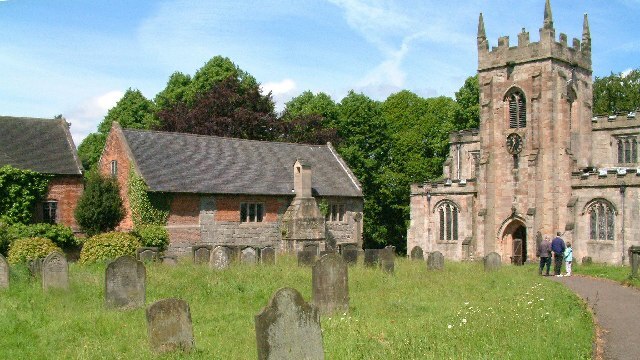 An old market town of cobblestone streets and cultured Georgian townhouses, Ashbourne is just a mile shy of the south boundary of the Peak District National Park. You couldn’t be in a better position to see the best of the southern White Peak, a green landscape with imposing limestone formations. 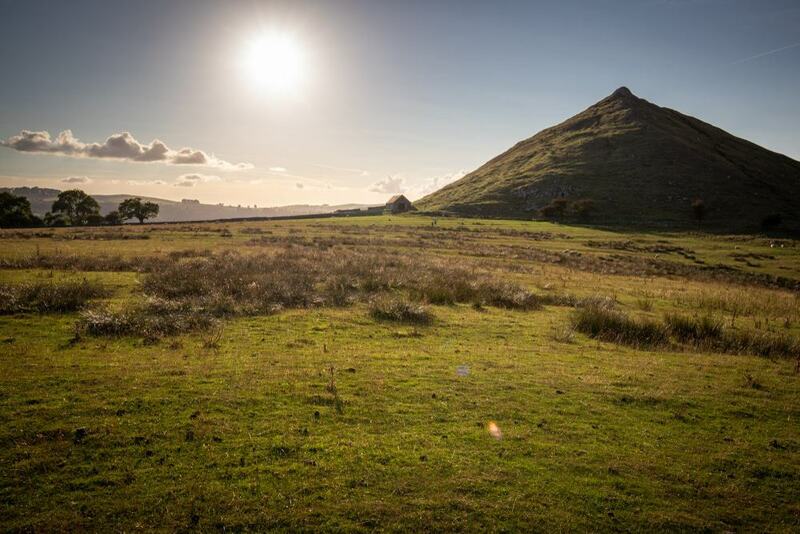 Dovedale and its grass-topped ravine is positively idyllic, and like big patches of the local countryside is in the care of the National Trust. For cyclists there’s an express route into the national park via the Tissington Trail, which has bike hire centres at both trailheads. There’s much to enjoy closer to home, as Ashbourne has scores of listed buildings going back to Tudor times, as well as some eccentric traditions and two outdoor markets trading each week. Ashbourne is at the southern boundary of the UK’s oldest national park, the Peak District, which was delineated in 1951. Whereas the northern regions of the park are gritstone moors, the central and southern tracts are a rolling limestone plateau broken by sudden limestone dales. One of the most beautiful, Dovedale is minutes from Ashbourne, and we’ll go into more detail next. The far-ranging grassland is used for grazing so on every walk you’ll be in the company of sheep and cattle, and each plot is bounded by a rustic dry stone wall. From Ashbourne you can set off on the Tissington Trail, as well as a footpath to the village of Thorpe that links with the 46-mile Limestone Way, traversing the White Peak. One spectacular route not on this list is the Manifold Way, between Hulme End and Waterhouses, which is only eight miles from Ashbourne. This leads you through the majestic Manifold Valley via Thor’s Cave, a karst formation far above the valley floor. Three miles long from Milldale down to Throrpe cloud, this valley hewn by the River Dove has immense natural beauty and lots of little details to hunt down. In the wooded ravine on the southern end the dale is the most photographed feature; a set of stepping stones over the water, framed by sheer limestone walls and marking the starting point of your adventure. The valley has ancient ash woodland, grassland carpeted with wildflowers in summer and lots of intriguing limestone formations. Lover’s Leap is a promontory reached via steps cut by Italian prisoners of War in WWII, while the Viator’s Bridge is a charming packhorse bridge with a narrow crossing that originally had no walls so that horses could pass over carrying panniers. 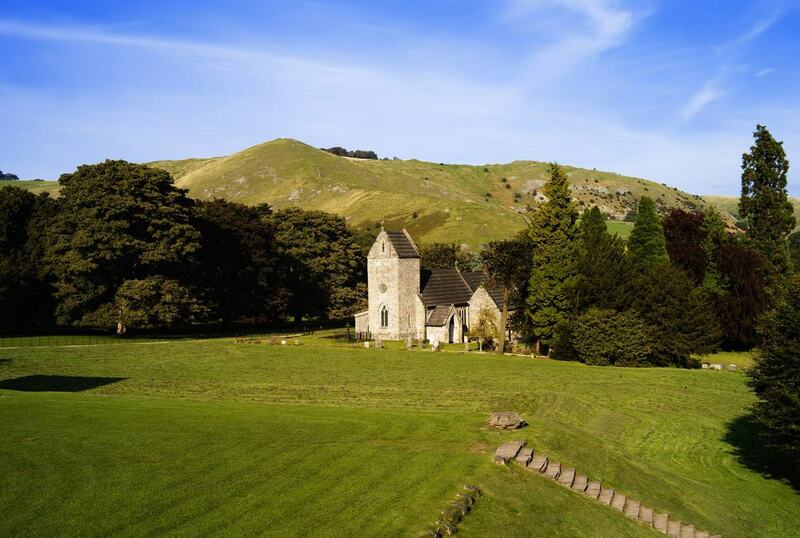 On the southern end of Dovedale you can’t miss this isolated steep-sloped hill between the village of Ilam and Thorpe. Walkers in need of something more testing than the stepping stones will meet their match on this 287-metre peak. You won’t need long to reach the top, but the slopes are vertiginous in places and require good walking shoes and plenty of care on the way down. This portion of the dale is sometimes called “Little Switzerland”, which says all you need to know about the terrain. You’ll realise why you made the climb when you’re looking along the high sides of dale and out across the Midland Plain to the south. 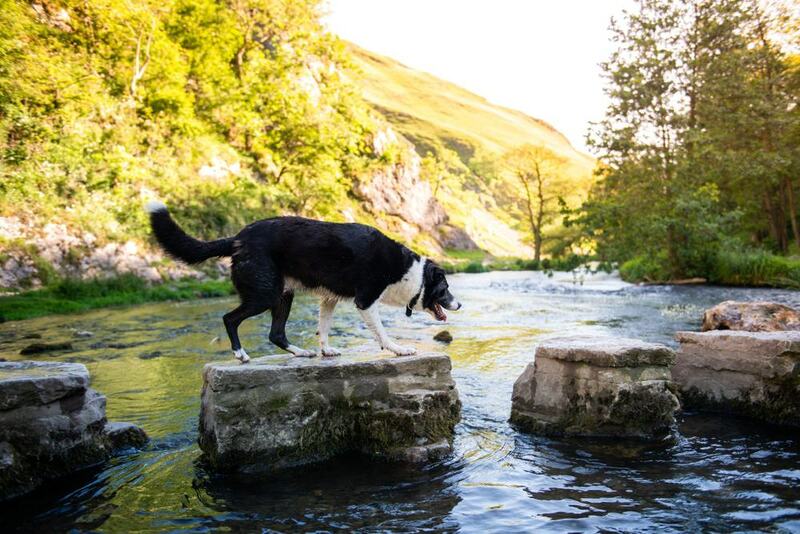 Straddling the River Manifold, this National Trust park is blessed with sumptuous views of Dovedale. These 158 acres used to be the estate of Ilam Hall, and have formal Italian Gardens, calm riverside walks and a snug tearoom garden. Ilam Hall goes back to the 1500s, but was totally rebuilt in the 1820s. Come the 1930s the mansion had been earmarked for demolition, but was rescued halfway through when it was bought by Sir Robert McDougal for the National Trust on the proviso that it be turned into a youth hostel (a role it keeps to this day). On arriving at the park you can pick up a leaflet showing the route of a one-mile circular trail next to the hall and along the river. Make time for the tearoom, which prepares local goodies like Derbyshire tealoaf and oatcakes. 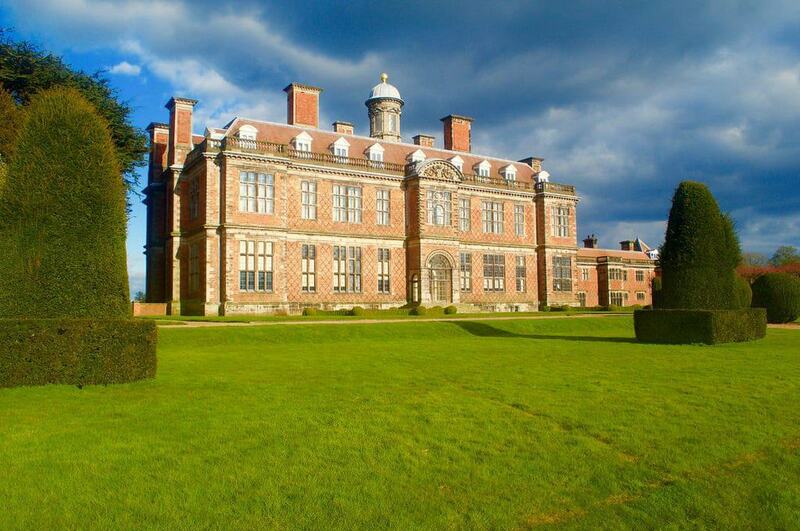 Hailed as one of the UK’s greatest Restoration mansions, Sudbury Hall was designed to show off the best in late-17th century craftsmanship. Touring the house you’ll fall in love with the ornamental plasterwork and ceiling paintings. The standout room is the 51-metre Long Gallery, an unusual feature for a house from the reign of Charles II. This has masterful plasterwork, and the National Trust has set up places where you can lie back to properly appreciate the ceiling. There’s more beautiful plasterwork on the Great Staircase, while the Drawing Room is adorned with wood carving by the master carver Grinling Gibbons. The Victorian servants’ wing houses the National Trust Museum of Childhood, which has a super antique toy collection and a Victorian schoolroom. You’ll be reminded that childhoods were sadly quite short in times past, as you enter a mine and climb a chimney. As much as Ashbourne is a useful stepping stone to the White Peak and local National Trust wonders, you have to give yourself a few hours to look around the town. There are over 200 listed buildings on these streets, from old coaching inns to elegant townhouses and converted almshouses. 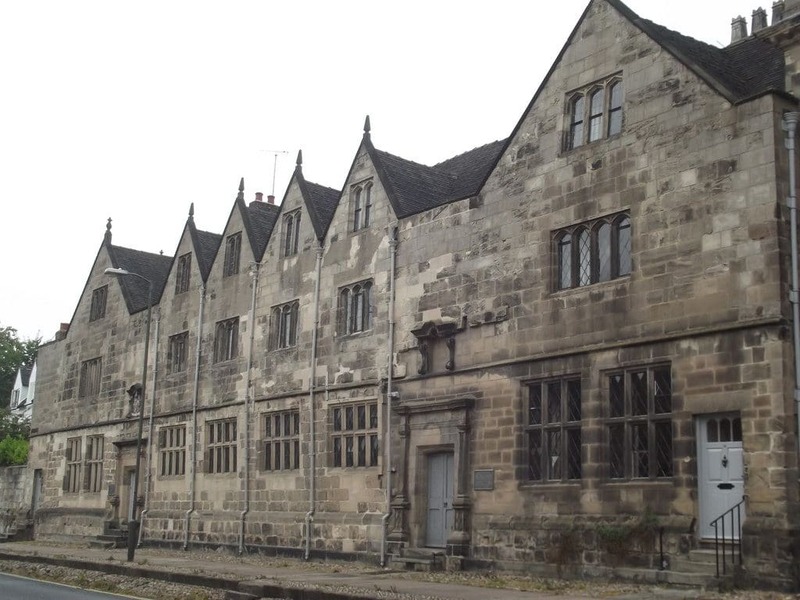 One monument to appreciate from the outside is the Old Grammar School (1603), a sublime Elizabethan building saved from Demolition by the Derbyshire Archaeological Society and now private dwellings. The finest of Ashbourne’s townhouses is the “Mansion” on Church Street. Completed in 1685, the building has a Georgian facade and was visited for much of the 18th century by the noted man of letters Dr Samuel Johnson. 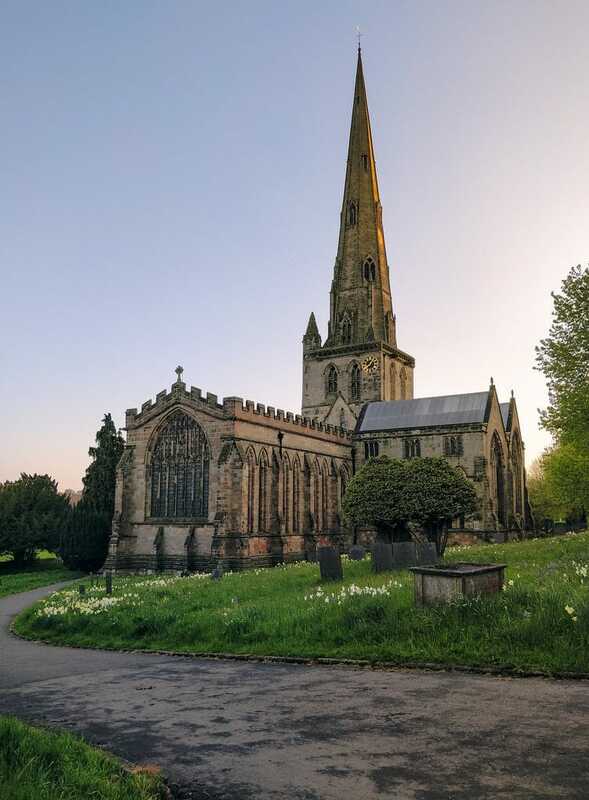 Ashbourne has a beguiling parish church capped by a 65-metre spire that was praised by George Eliot as the “finest single spire in England”. The church was consecrated in 1241, and amazingly there’s a brass panel commemorating this date. With a Latin inscription by Hugh de Pateshull, Bishop of Coventry and Lichfield, you can find this dedication in the chapel on the south side of the building. The north and south transepts have chapels for eminent local families. In the north transept you’ll find the touching Boothby monument, carved from Carrara marble in the 18th century by sculptor Thomas Banks, for Penelope Boothby who died in childhood. The church has splendid stained glass designed by Victorian and Edwardian masters like Charles Eamer Kempe and Christopher Whall. 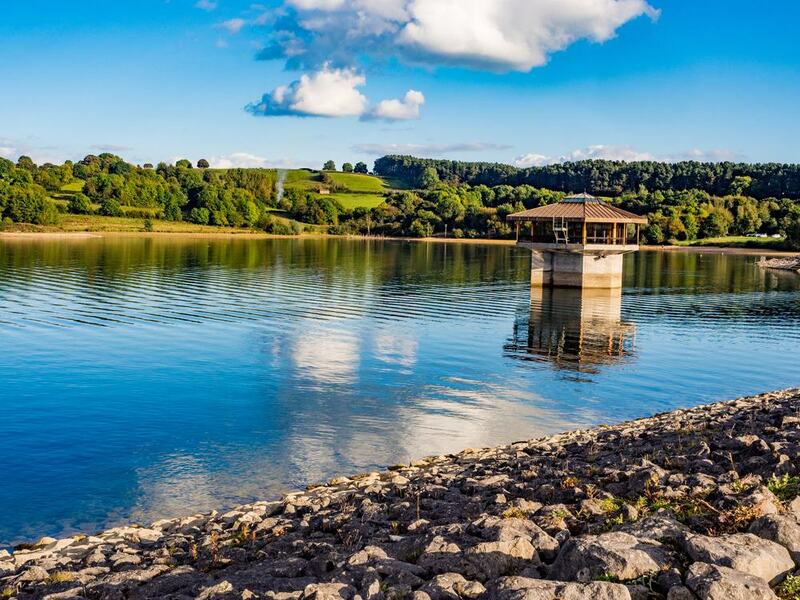 A hive of activity in summer, Carsington Water is a 35,412-megalitre reservoir fed by the River Derwent. This body of water was under construction for more than two-decades, and was finally opened by Elizabeth II in 1992. For tourists the main port of call will be Carsington Sport and Leisure, which hires out kayaks, canoes, windsurfs, sailing dinghies, rowboats, as well as bikes to ride the circular trail. This route takes you past a bird-hide, where you may stop to spot water birds and waders like little grebes, common redshanks and Eurasian oystercatchers. Carsington Water also has a visitor centre with a shop and a cafe that has a large terrace with restorative views of the lake. Without a car the easiest route into the Peak District from Ashbourne is the 13-mile cycle trail, footpath and bridleway that begins on the edge of town. 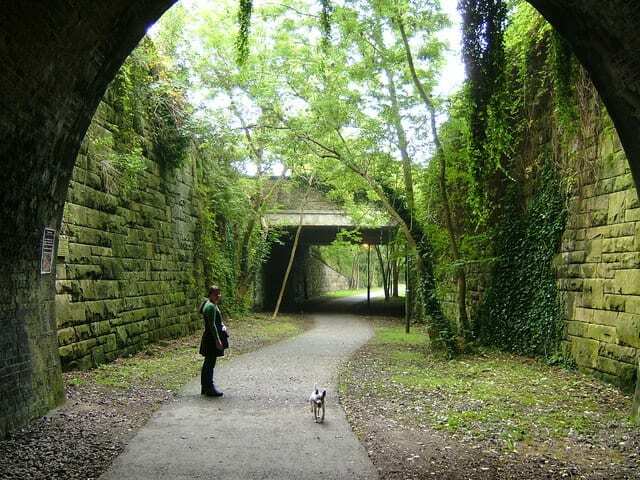 The trail follows the route of railway like that once linked Ashbourne with Buxton but was abandoned in the 1960s. There are some testing climbs, especially near the start of the route where a viaduct has been removed, leaving gradients of 1:9. Any effort will be paid back by awesome views, especially further north towards the trailhead at Parsley Hay. You’ll find cycle hire and service stations at both ends of the trail, while at Hartington an old signal box has been turned into an information centre, open on weekends and bank holidays. 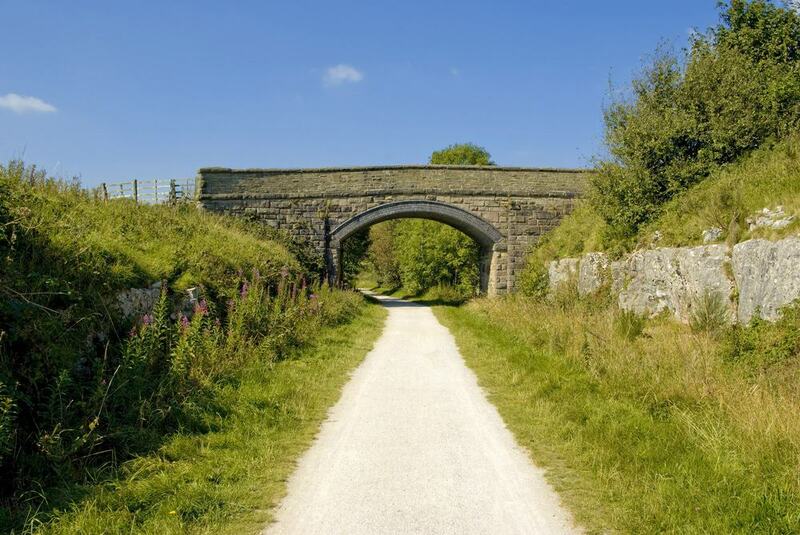 A ride on the Tissington Trail begins in unforgettable fashion on the 350-metre Ashbourne Tunnel. This is quite a recent addition to the route, having been purchased and refitted by Sustrans, the sustainable transport organisation, after the trail was created. Close to the old train station, the tunnel conducts you most of the way out of town with having to deal with traffic. The tunnel is well lit and its surface has been relaid for bikes. Something that may catch you off-guard is the speaker system occasionally recreating the sound of an approaching train. These beautiful and diverse gardens can be found outside the village of Brailsford about 7 miles southeast of Ashbourne. The personal project of gardener Craig Dalton, Burrows Gardens opens to the public Sundays, Tuesdays and Fridays from April to August, as well as on select National Garden Scheme open days. In five acres there’s a dazzling array of styles, like Italian, English and Cornish, all in secluded “rooms” and enhanced with rare plants. 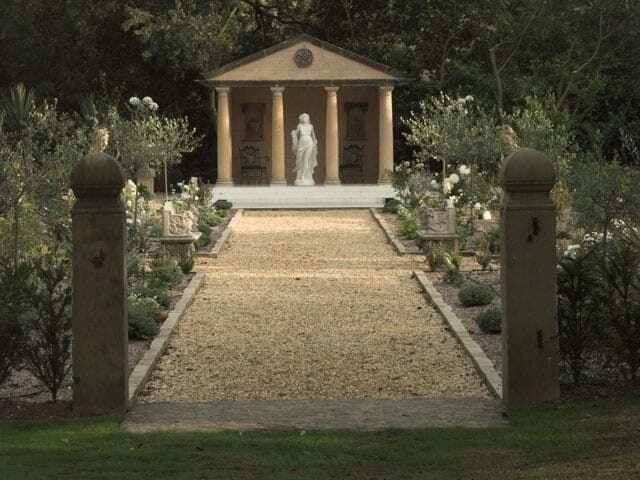 Maybe the loveliest is the Roman temple garden, with an all-white planting scheme and reflecting pool. There’s statuary throughout Burrows Gardens, as well as lots of wrought iron, urns and fountains in surprising places. 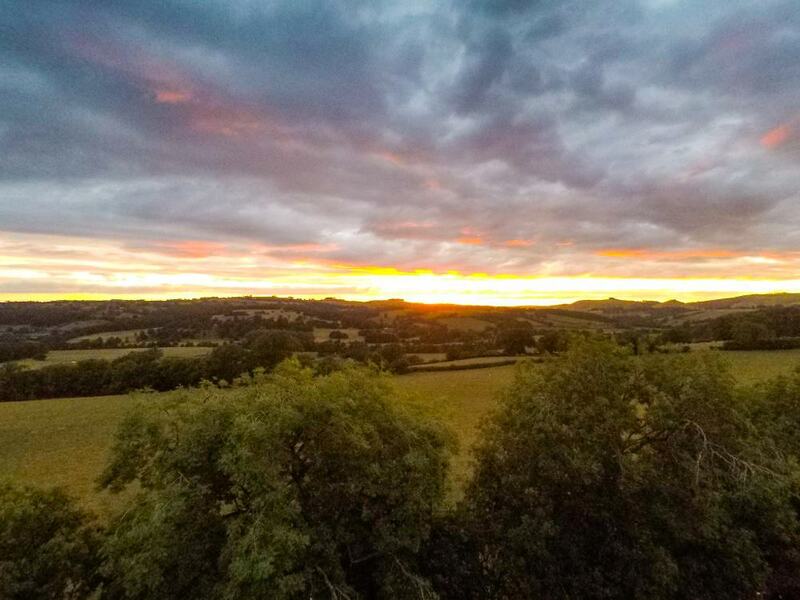 Bordering open countryside to the east of Ashbourne town centre, the Recreation Ground is somewhere to be active and unwind without straying too far from Ashbourne’s amenities. Closest to the town centre off Cokayne Avenue and Park Road are ornate formal gardens planted in memory of the town’s war dead, while there’s a statue of Salvation Army co-founder Catherine Booth, who was born in the town. There’s a pretty bandstand in the middle of the gardens, while things get wilder further east where you can cross Henmore Brook to explore the Fishpond Meadow. In the last decade the park has secured investment from the Heritage Lottery Fund for great new play areas for children. Another National Trust property, the Old Manor is in Norbury, six miles southwest of Ashbourne. You can come by to check out this sight on Friday mornings and Saturday afternoons in the summer months. There’s a Medieval Hall, dating back to the 1200s and featuring a rare king post beam, a Tudor door, Medieval fireplace and 16th-century Flemish stained glass depicting the changing months and farming activities. The Medieval Hall shares the site with a fine Tudor house, originating in the 15th century but given a Restoration redesign in 1680. Outside is a neat Tudor-style parterre herb garden. 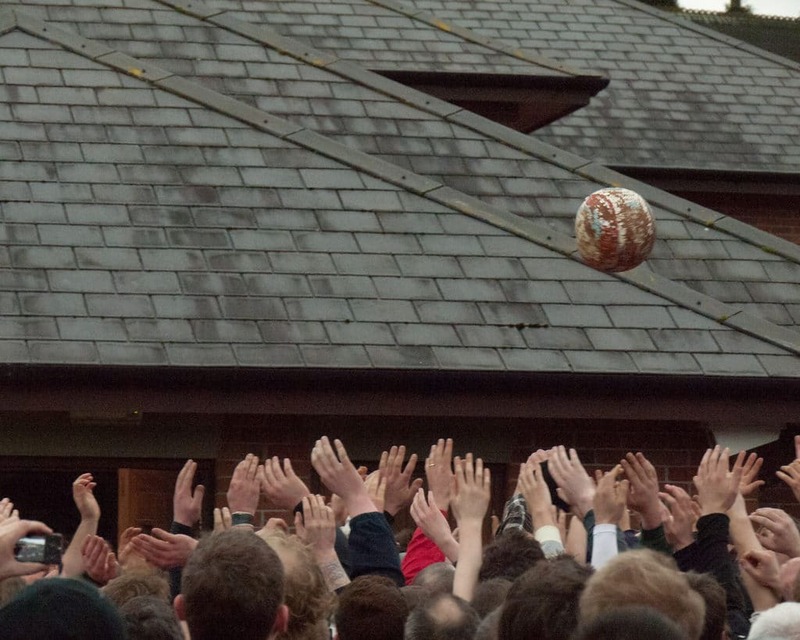 An annual event that dates back to 1667 at the latest, Royal Shrovetide Football is a two-day football match played on Shrove Tuesday and Ash Wednesday. This is football as it used to be in Medieval times: One half of the town plays against the other, with several thousand people taking part. The goals are set three miles from one another, and the two teams, the “Up’ards” and the “Down’ards” compete across two eight-hour periods. The ball is made from cork and painted by hand, and the match is a massive crowd shifting through the streets and open spaces of Ashbourne. The game is played in a spirit of fun, but things weren’t always so cordial and there were a few attempts to ban the event until the end of the 1800s. For a bit of local colour, there are two weekly outdoor markets in Ashbourne. 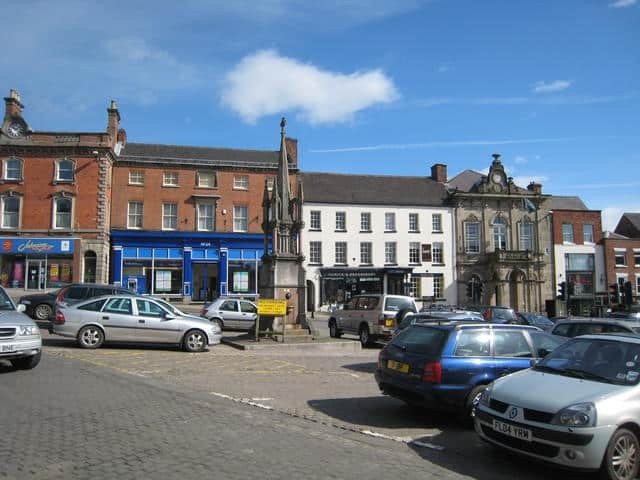 The Thursday market takes place on the Shrovetide Walk, between the Library and Waitrose, while the Saturday market trades in the picturesque surrounds of Ashbourne’s cobblestone Market Place. The town was granted its market charter in 1257, and the tradition is best upheld on Saturdays when nearly all of the stalls are occupied. Drop by for flowers, clothes, fruit and vegetables, crafts, yarn, homemade sauces, toys and jewellery.